THE Tasmanian Government last week said it is making the state's planning system faster, fairer, simpler and cheaper through a single statewide planning scheme that will replace the current patchwork arrangement of 29 different schemes. Draft legislation for the Tasmanian Planning Scheme has been released for consultation Planning and Local Government Minister Peter Gutwein encouraged the community to provide their feedback. Above: Tasmania from Space / by Jeff Schmaltz. "Since coming to Government we have found that across the three regions there is only around 15 per cent commonality between the 29 different planning schemes," Mr Gutwein said. "Investment that creates jobs and grow the economy requires clarity and consistency, not uncertainty and complexity." The proposed legislation provides the framework for the new planning rules which will apply right across the state. The State Government's Planning Reform Taskforce is currently developing these new rules in consultation with a wide range of stakeholders and community representatives including local Government. Once developed, they will be subject to a statutory consultation process during which the wider community will be able to have their say early in 2016. "It's clear that this reform is needed now more than ever. It will take the handbrake off investment and development, with the benefits felt right around the State," the Minister said. "That's why we are accelerating our process to introduce a single statewide scheme as soon as possible. In the budget we have allocated an additional $1.7 million to accelerate work on the Statewide scheme and bring forward the introduction of the Scheme from 2018 to 2017." The draft Exposure Bill, Position Paper and Fact Sheets are available from the Department of Justice website at <http://www.justice.tas.gov.au/>. The consultation process concludes on 10 August 2015. 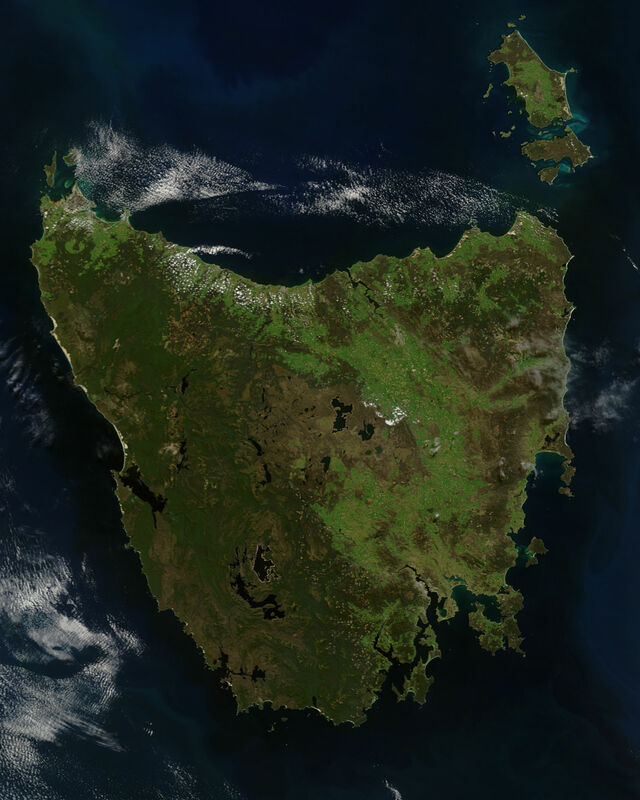 Photo: Tasmania from Space / 'Tasmania.A2005320.2355.250m' / Jeff Schmaltz, MODIS Rapid Response Team, NASA/GSFC / Licensed under Public Domain via Wikimedia Commons.